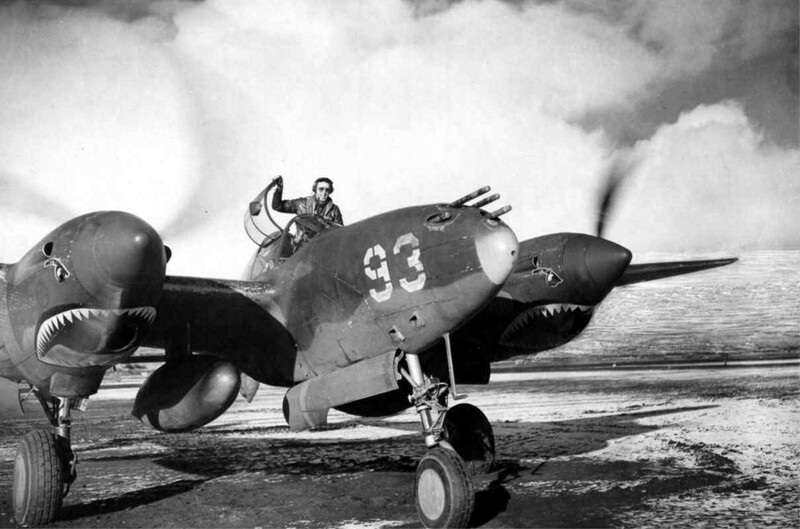 » Lt Herb Hasenfus of the 54th Fighter Squadron standing in the cockpit of his P-38 Lightning during engine run-up at Adak, Alaska, Mar 1943. Note the artwork on the engine cowls. This photograph has been scaled down; full resolution photograph is available here (1,210 by 800 pixels).